Fintech: London's New Big Bang? If one were looking for something that represents the explosive growth in fintech over the past two years (see graph below), then the growth of the Finovate and Money 20/20 series of events would be a strong contender for the crown. The Finovate calendar now has three full ‘Finovates’ (Spring/San Jose, Fall/New York, Europe/London), and a spin-off event specifically for developers in March called FinDEVr. Taken collectively they offer the opportunity to get an early glimpse on what’s hot and what’s not in fintech, and viewed over the longer run demonstrate the evolution of what is a relatively new industry. Not content with its bicoastal and biannual bashes in California and Manhattan, Finovate has recently turned its sites towards the center of Europe’s financial services (finserv) industry, London, where last week a full house from across the spectrum of banks, innovators and investors took in demos and heard the pitches of dozens of companies vying to be the next big thing in fintech, generating their own irresistible gravitational pull. Thirty years ago London’s financial services and banking industries experienced their own ‘Big Bang’, which modernized finserv by allowing electronic trading to replace red-faced traders shouting and waving paper. For most of the past thirty years, the technology got faster, but the basic infrastructure remained the same. Competitive advantage was created by placing even larger servers even closer to the exchange. Recently, though, the collision of finance and technology to create fintech has started to make gravitational waves across the sector. Quite where the boundaries of the fintech universe lie is, however, remains in flux, for they appear to be expanding forever outward, much like the real thing. Some products can clearly trace their origins, at least in terms of the concept, to the original fiserv Big Bang. Investify, for example, offers ‘Robo-Investing’, combines news and easily actionable responses, akin to early electronic trading terminals. Naturally, some other of the demonstrators sit very firmly within the known universe of fintech. Companies such as Personics are attempting to transform banks’ relationships with their customers by personalizing their interaction via the mobile channel. David Sosna, CEO of Personetics, told Mondato Insight that their business sits at the intersection of Personal Financial Management (PFM) and an alternative financial institution (ALTFI) by its focus on creating greater brand loyalty through heightened transparency and a closer personalized relationship with the bank’s mobile app. Users are able to set the parameters, such as notifications when the end of a subscription is about to end, triggers for push notifications, and suggestions for smarter financial management. This is precisely the sort of data that PSD2 has made available (with the consumer’s permission) to third party payment providers (as discussed in two recent Mondato Insights), and is spearheading the need for services similar to that of Personetics. Failure to react to this potential danger, emphasized Mr. Sosna, could result in banks becoming themselves a commodity in the relationship between consumers and third parties: the hunter becoming the hunted. This is banks’ biggest fear, in David Sosna’s opinion. PFM software appears to be making big advances across the board, nonetheless, which may risk detaching them from the bank mothership. Two standout products in this category, which caught the attention of many of the attendees, are Spiff and Sandstone’s Travel Kaddy. Directly addressing a topic that was the feature of a recent Mondato Insight, Spiff is a savings tool designed specifically with women in mind. Clearly attempting to follow the true path of disruption, Spiff is, in the words of two of the key people behind it (Steve Mellbye-Stølen and Carl-Nicolai Wessmann), a simple saving service. Still in the beta stage and focusing on the Nordic countries, Spiff recognizes that women have often had bad experiences in the often-macho world of loans and funds. Spiff’s founders therefore set out to provide a product designed with women in mind that will both educate and facilitate access to financial services. It also links to an ethical / green savings fund, allowing the creation of a seamlessly ethical portfolio. Mobiles devices and social media are creating new niche markets, such as this, that were previous unreachable or unprofitable. This model – a sort of Venmo for financial services, appears to have a lot of potential, and in some ways highlights how some of the lessons that were learned a few years ago in developing markets are transferable into developed markets. And whereas companies such as Lenddo have been building consumer credit profiles based on their social media presence, Capital Preferences takes insights in game theory and econometrics to build up consumer risk profiles within minutes, and by extension can offer them products and plans better suited to their specific needs. Through a philosophy of “show me, don’t tell me”, Capital Preferences analyzes how clients make tradeoffs between risk vs. return, today vs. tomorrow and themselves vs. others. This offers a much more precise measure of their preferences potentially paving the way to more customized, and profitable, financial plans, business plans, job search, and more, with confidence. Econometrics have long provided insights that are a common feature in the job search process, but it is digitization and gamification that have put them now potentially at the forefront of the fintech revolution (Capital Preferences was a top 12 global finalist in the UBS Future of Finance Challenge). 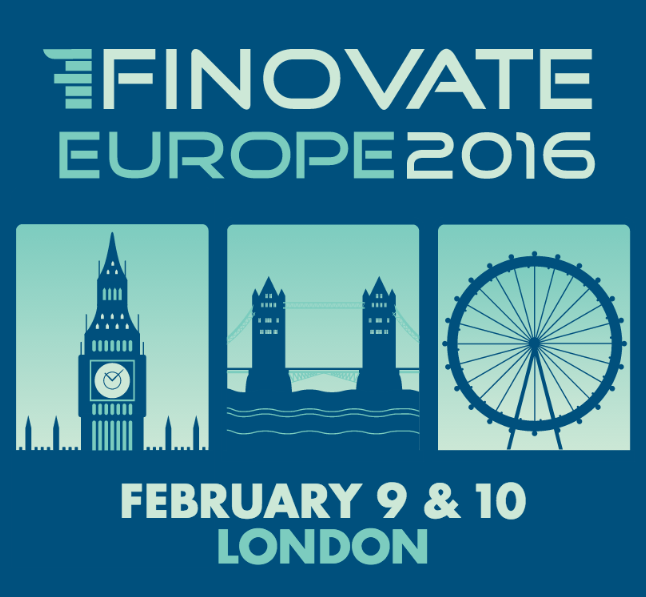 Finovate has become a weather-vane of fintech development. In Europe at least, the only certain takeaway is that the ripples in the spacetime continuum emanating from PSD2 are starting to be felt. Other than that, and much like the original Big Bang, the real consequences of the fintech revolution may not be known for some time. But it is clear that it will be transformative, creative, and destructive. And if you love tech, it will be probably be pretty beautiful as well. Has Banking's 'Uber Moment' Arrived?